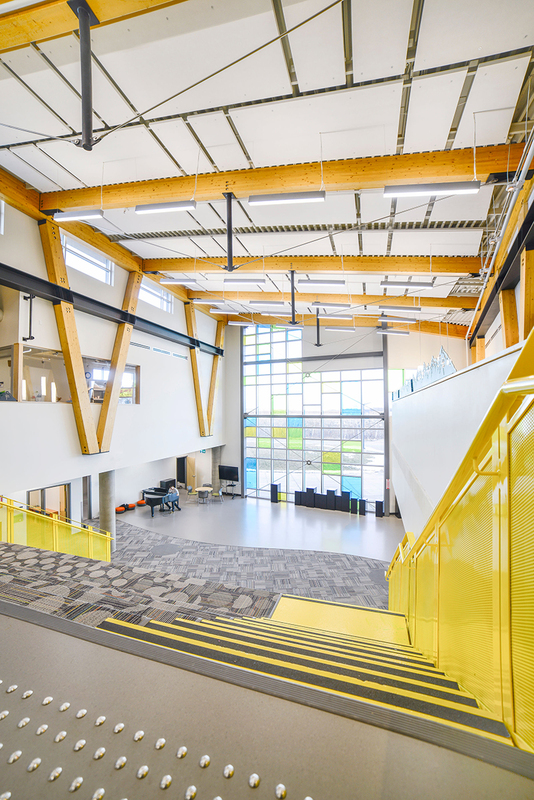 Fielding Nair International; Group2 Architecture Interior Design Ltd.
Strathcona-Tweedsmuir School is a private school accommodating Grades K through 12. 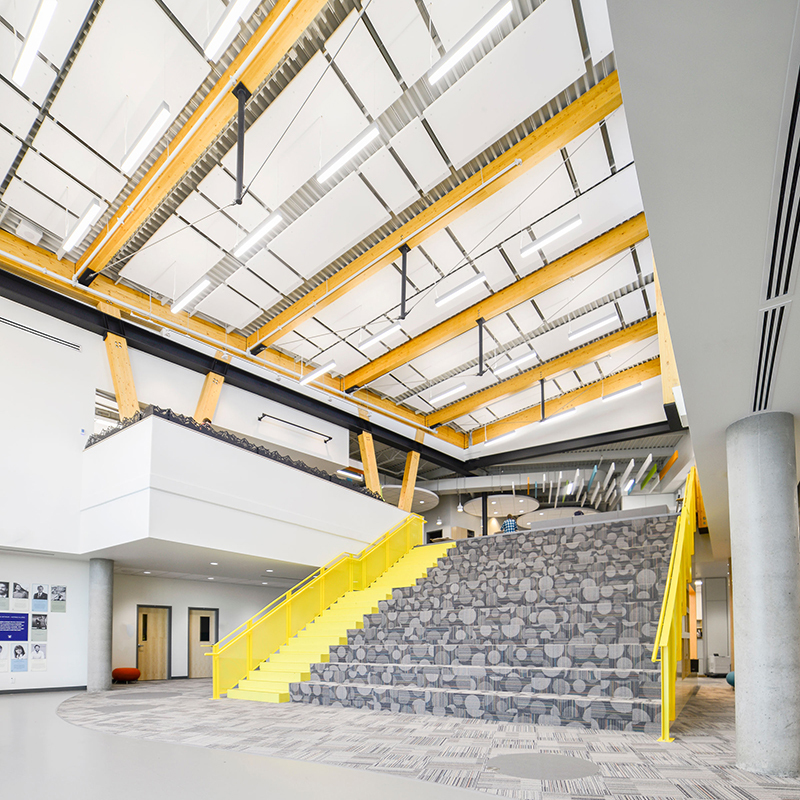 A 65,000 ft² expansion was added on the school’s 220-acre campus in order to meet the school’s learning and teaching needs. The new addition was designed to embrace the surrounding mountain vista and reflect the local environment. 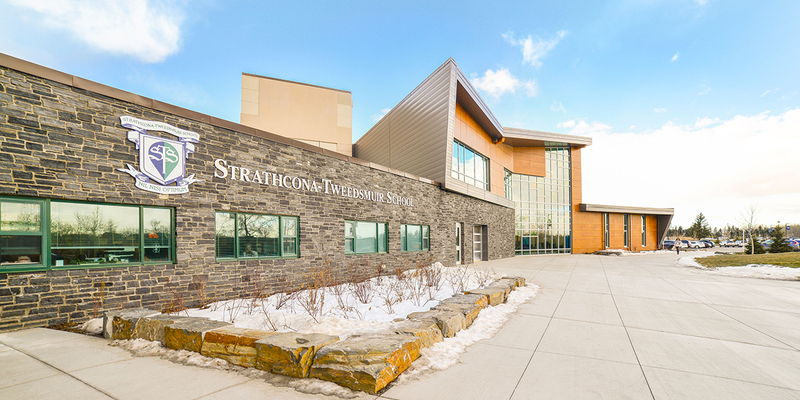 The expansion included a two-storey elementary wing constructed adjacent to the existing auditorium space. The wing is structurally independent from the existing building and tie-in to the central core of the school. 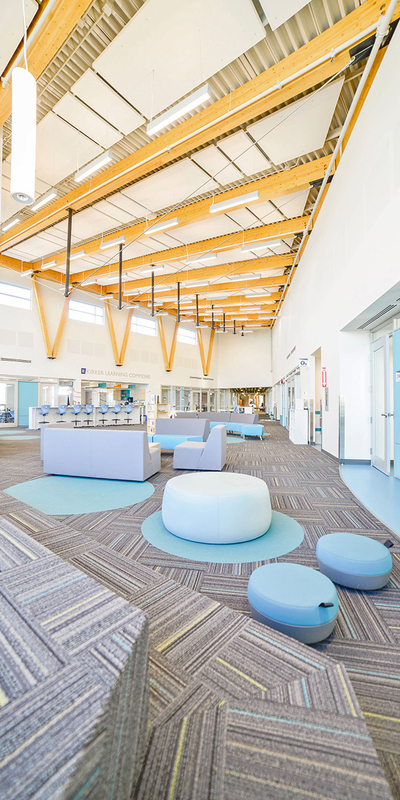 Flexible spaces were created to enable teachers to incorporate a wider variety of activities and better align instruction with learning styles. As well, the main entry to the school, located south of the auditorium, was reconfigured into a new gathering and welcoming space. Challenge: The integration of existing and new buildings. Solution: A concrete block wall was provided adjacent to the existing structure to control lateral movements. New building foundations were cast at the founding elevation of the existing building. Challenge: A combination of five types of structural material to achieve the desired architectural aesthetic, building performance, geometry, and construction sequence. Solution: A concrete frame structure was adopted to support the second floor due to the unique geometry of the building and challenges associated with fabrication of steel framing elements. 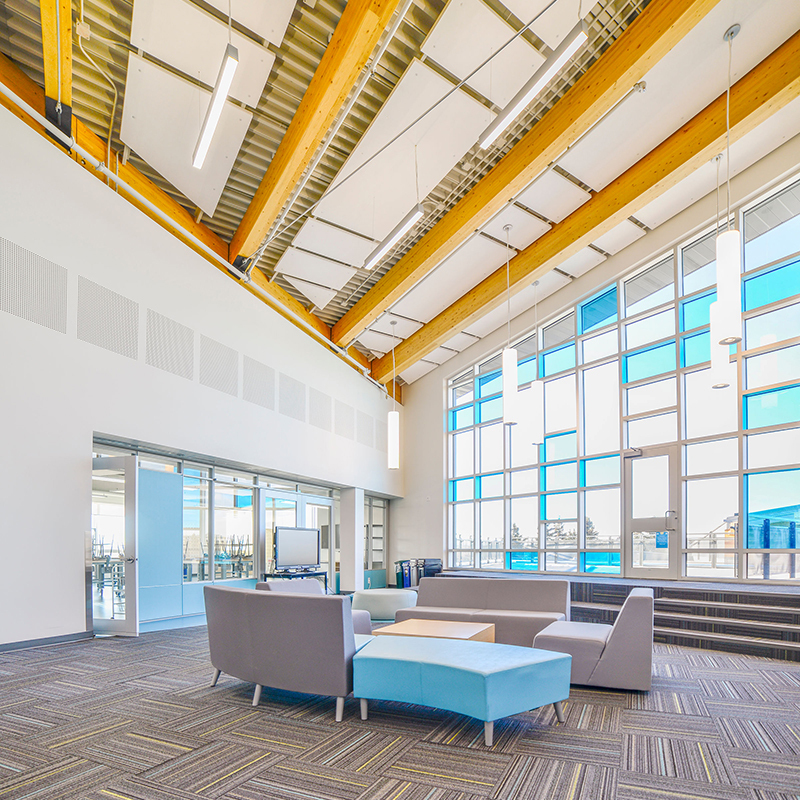 To reduce costs, the roof structure was framed from steel with feature glulam elements. Concrete block and precast were used adjacent to the existing building to simplify construction. Challenge: Providing educational space for a modern learning institute. 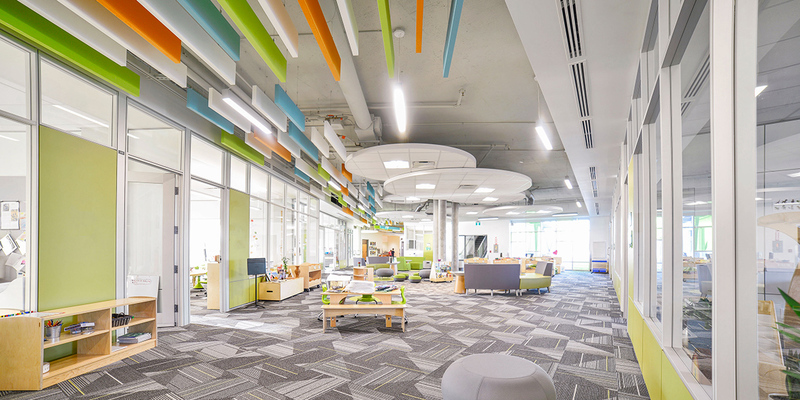 Solution: The architectural and structural design allows for open spaces for large learning sessions. 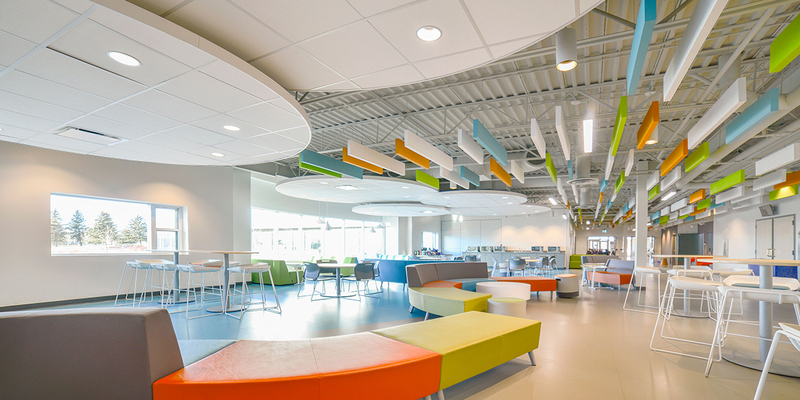 The spaces can be subdivided for opportunities for focused learning. 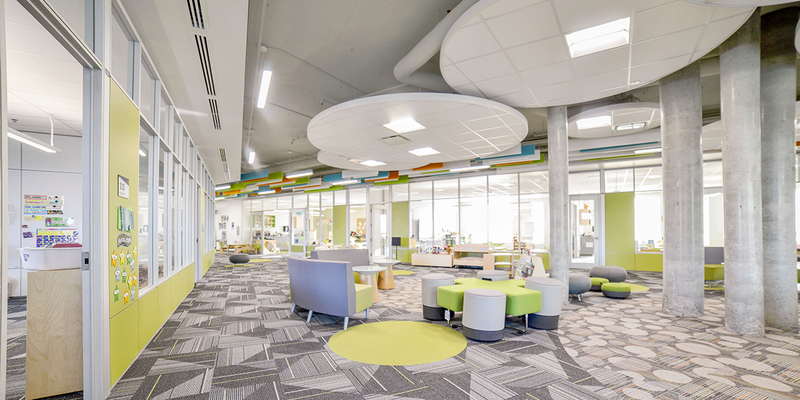 The exposed structure and open spaces allow students to be curious and provide a learning opportunity.